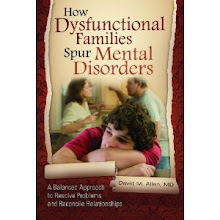 The theme of this blog, as well as of my last book, How Dysfunctional Families Spur Mental Disorders, is that family systems issues have been disappearing from psychiatry in favor of a disease model for everything by a combination of greedy pharmaceutical and managed care insurance companies, naïve and corrupt experts, twisted science, and desperate parents who want to believe that their children have a brain disease to avoid an overwhelming sense of guilt. I’ve also written about some of the family systems ideas that are being neglected. But the question many readers may still have is: What do systems-oriented family therapists actually do? In an excellent new book, Pills Are Not for Pre-Schoolers: a Drug Free Approach to Troubled Kids, author and therapist Marilyn Wedge shows, with a series of excellent case examples, what can be done. She demonstrates brilliantly how kids who might be labeled with serious mental illnesses (that they do not actually have) are, in fact, responding to trouble at home. If a child acts violently angry, the purpose of this behavior is to deflect the anger that one parent is experiencing against the other. Violence is, therefore, usually a sign of parental discord. Kids hear and understand much more than we think. A child will do anything to make his or her parents stop arguing. Kids act out parental feelings that the parent can’t express. Young adults that refuse to grow up and move out are doing so in order to covertly give their parents who are not getting along a reason to stay together. A parent’s obsession with a child is often a substitute for intimacy in the parents’ marriage. The pain of one family member always affects all other family members. Sibling squabbles can reflect parental discord. She explains how family and home problems become far less likely to be addressed once a child is called bipolar or ADHD. (Magazines – and some advice columnists - are at present labeling any sharp change in mood as a symptom of bipolar disorder). Of course, even parents who are very much against the use of psychiatric medications are often very sensitive to the question of whether or not they are somehow to blame for the problems of their child. So if a mental health professional does not know how to handle this sort of parental guilt, and furthermore does not even know what questions to ask to find out if there is any family discord, they are not going to hear about family problem - as I pointed out in a previous post, Don't Ask, Don't Tell. Wedge shows clearly how this trap can be avoided. A lot of child psychiatrists these days are so focused on “symptoms” that they miss the forest for the trees. They do not even try to find out what is going on behind the scenes, and they seem to have lost all understanding of what constitutes normal child reactions to family stress. A clear case of "Don't Ask, Don't Tell." Wedge discusses some very simple and very crucial questions mental health professionals need to ask both “problem” children and their parents that can often lead to a torrent of new information. Who are you worried about more, your mother or your father? What makes you scared at night? What would things be like at home if you did not have this problem? What was happening in the life of the family when the symptom began? What is the SECOND biggest problem in this family? Where and when does the problem NOT occur? What is happening when the symptom is NOT? 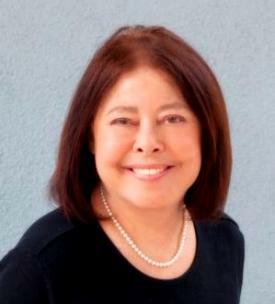 The author goes on to illustrate several family psychotherapy techniques for inducing behavior change in family behavior, in clear and easily-understood language. 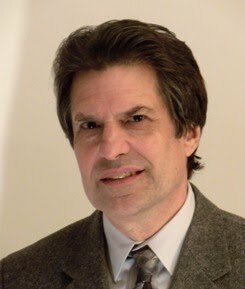 Most of these techniques come from a subschool of family systems therapy called strategic family therapy, whose originators include Jay Haley, his wife Chloe Madanes, and Mara Selvini Palazzoli. My only quibbles with the book are minor. She may promise a little bit more than systems therapists can deliver. Like many family systems therapists before her, the family members who populate her case examples all seem to be either highly motivated to follow her instructions, or if not, can easily be handled using with a few well-timed paradoxical therapy interventions. She says she often cures a problem within seven sessions. While this can be the case, often it is not. Old habits are hard to break. The TV show Supernanny clearly shows how almost all of the family members she sees revert to old behavior once the Supernanny leaves. She leaves and comes back on purpose to deal with this phenomenon. While the behavior of the children in her examples may be extreme, most of them come from families that have many strengths. I often see a much more disturbed set of patients: parents (I do not treat children and teens) who have almost no personal or family resources on which they can draw, and/or have significant personality problems themselves. The author also clearly states that none of the children in her case examples were abused or neglected. I do not know how much experience she has with these other types of populations, but clearly they are far more difficult to treat, and there are a lot of them out there. 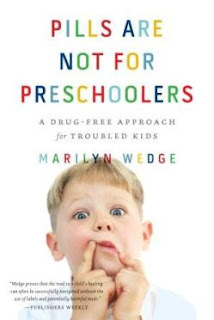 All in all, however, I highly recommend this book for those parents who actually want to solve their children’s problems, not just cover them up with drugs. Thank you so much, David, for taking the time to read and review my book. I can see that our points of view about family systems are complementary. You make an accurate point about the particular population of the families I describe in my book. The children I describe have not been abused or neglected. I realize that for more serious problems like abuse, molestation or serious neglect brief therapy of 7 sessions is not sufficient, and a different model of family therapy is called for. This would include bringing in extended family members like grandparents and others in the child's extended "village," and having an "apology" session in cases of abuse or molestation. Many wonderful books have been written about addressing these problems, and I chose to limit the scope of my book to less extreme family issues. Thank you for pointing this out. Thanks for your comment. I'm looking forward to seeing your guest post for my blog. I sent the guest post to Trish, as she requested. Thanks very much for inviting me to post. What would you do with a family in which only one member is attempting to identify this kind of family dysfunction, and the remaining family members are either stubbornly in denial or actively antagonistic toward that effort? Can one "go it alone?" That's a difficult problem. I assume you're talking about a family in which a child is being adversely affected and/or being medicated for a behavioral problem. In that case, a lot would depend on what the relationship is between the person who sees the problem and the involved child and his/her parents. If the identifier is outside of the nuclear family of the involved child - say a parent's brother - I'm afraid there isn't much they can do directly other than urging the family to get an opinion from a family therapist. If it's the child's grandparent, they have to ask themselves if they are somehow inadvertently contributing to the child's family problem. (Denial and antagonism usually mean the grandparent is not willing to do that). If it's two parents who can't see eye to eye about the problem with the child, that itself is often the problem. If the child is being abused or neglected, a report to the department of social services is required, even if the rest of the family gives a lot of grief to the person making the report. Occasionally seeing an individual therapist to plan some sort of systems-sensitive intervention may be helpful. 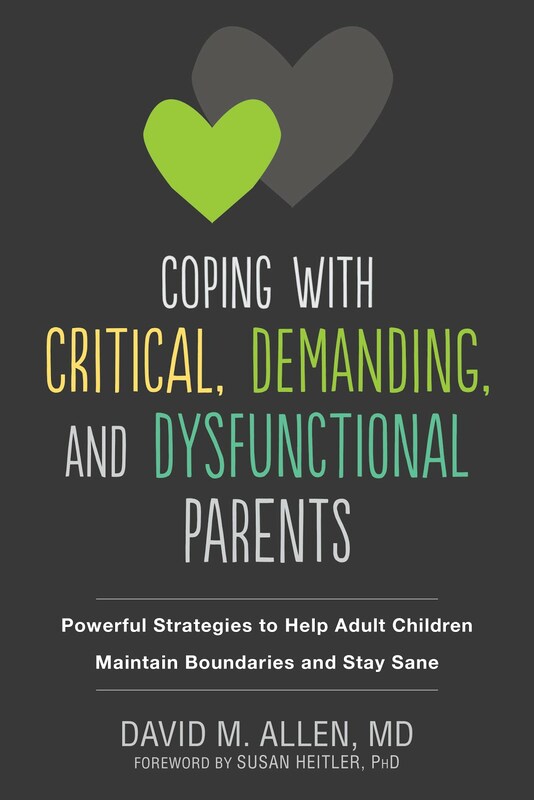 Family dynamics and situations have such a huge impact on children - I'm glad to see Wedge making that point in this book. Thanks for such a thoughtful review for the tour. The problem with working with therapists and pdocs as a kid, from my own experiences growing up, is that it becomes very clear, very quickly that the therapists and pdocs are not working for you. I was never once interviewed by the pdocs who prescribed me medicine...and that was even into the teen years. It did also appear to me that the therapists were very obviously working for my father (mother was dead). My needs, and what I found troubling, were not taken into account. At least that is how I felt. I actually think there is a conflict of interest in treating kids in a mental health setting. Kids obviously are not paying the doc or therapist. The parent is. I think the allegiance of the therapist or doc needs to be clear. I can see them working for a parent or for a child, but I don't see how they can work for both. And in my experience, they tend to work for the parent. That's a very interesting observation! The psychiatrists you saw as a kid never even spoke to you? That's criminal. In the days of psychoanalysis, children were seen in "play therapy" and the doctor didn't even talk to the parents! The field seems to have gone from one ridiculous extreme to other. A good family systems therapist is supposed to view the whole family as a group as the "patient," but I'm sure the person who pays the bills might get more consideration by some therapists. That's certainly what happens with today's psychiatrists who are confronted by parents demanding that their children be diagnosed and medicated. If they suggest therapy instead, I'm told that some parents will storm out of the office. well...they kind of talked to me. They interviewed my father and then called me in to tell me the diagnosis and what was being prescribed. They definitely didn't ask me what my symptoms were or do an intake. They have all done an actual hour initial interview now that I'm an adult. Followups have all been based on my own reports in my adult years. I told him I love to read. I read all the time. He threw out the ADHD diagnosis and prescribed an antidepressant cuz he said he thought I was depressed and not ADHD. I guess being an avid reader made him think it wasn't ADHD after all. That was the closest to interviewed I ever came and was the only time something I said influenced diagnosis. Guest Post: Does ADHD Exist?